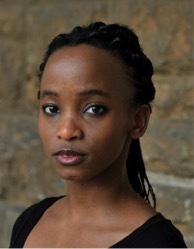 Thando Mangcu is an actor and theatre-maker (writing, directing and dramaturgy). She completed a BA (Hons) in Theatre and Performance at the University of Cape Town (UCT). She wants to learn and challenge herself as much as she can and to combine her education with her art. She is equipped with training in music (piano, saxophone and singing); languages (isiXhosa, isiZulu and French); a range of accent work; voice acting; puppetry; directing; dramaturgy; choreography; contemporary dance and physical theatre.